There are 2 main types of insulating gloves i) LatexGloves provide high dielectric performance and must be used with leather overgloves for mechanical protection, ii) Composite Gloves provide superior mechanical protection against punctures and tears eliminating the need for overgloves. Wearing suitable PPE to protect electrical engineers, cable jointers and linesmen against dangers posed by exposure to electric cables and circuits is essential. 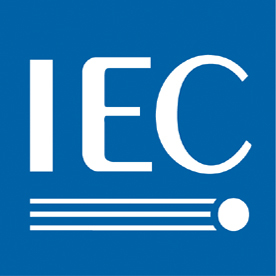 Insulating gloves must be flexible and durable with high dielectric strength compliant with IEC 60903. Insulating rubber gloves conform to IEC 60903 standard. IEC 60903 standard insulating rubber gloves are subject to dielectrical, mechanical resistance and ageing tests - composite and rubber insulating gloves are available to prevent against electric shock hazards. Insulating boots provide electrical safety for LV-HV electrical, live-line and overhead line working - the dielectric insulating boot is fitted with a rubber sole for superior slip resistance. Class 0 Insulating Gloves - Maximum working voltage 1,000V. Class 1 Insulating Gloves - Maximum working voltage 7,500V. Class 2 Insulating Gloves - Maximum working voltage 17,000V. Class 3 Insulating Gloves - Maximum working voltage 26,500V. No insulating gloves of classes 1, 2 3 and 4 electricians gauntlets, not even those held in storage, should be used unless they have been tested within a maximum period of six months - the most common periods currently range from 30 days to 90 days. The insulating glove test checks should include the following i) air inflation to check for air leaks ii) a visual inspection while pressurized iii) a routine dielectric test in accordance with the European Standard EN60903:2003, section 8.4.2.1 and 8.4.3.1. For insulating glove classes 00 and 0 gauntlets, a check for air leaks and a visual inspection may be considered adequate - however, a routine dielectric test may be performed at the users request. Before Use - inflate the insulating gloves with air in order to detect potential faults, carry out thorough visual inspection. Precautions - avoid contact with petrols, oils, greases, acids or corrosive products. Do not use insulating gloves if wet. Care - to get the best service from insulating gloves ensure that after use all contaminant is removed - wash insulating gloves with soap and water. Caution - the life span of insulating gloves whether used or in storage is limited. Standard EN60903 : 2003 recommends a periodic inspection, electric retesting or periodic replacement. Comply. IEC 60903 insulating gloves from Catu Electrical provide the essential electrical safety choice when evaluating insulating gloves. Compliance. IEC60903 insulating gloves offer personal protection against electrical shocks to cable contractors, cable jointers, moling contractors, overhead linesmen, substation and switchgear engineers. Safety is in your hands - choose Compliant Insulating Gloves to protect against electric shock. Rubber Latex Insulating Gloves - selected according to the working voltage level and electrical protection required. Cotton Undergloves - liner gloves reduce discomfort of wearing insulating gloves ; providing warmth in winter and absorbing perspiration in warm months. Leather Over Gloves - worn over insulating gloves to ensure mechanical protection against cuts, abrasions and punctures. Catu Electrical - Low & High Voltage Electrical Safety Equipment For Underground Cables, Overhead Lines & Substations.